How long does it take after filing the I-751 petition? Typically USCIS adjudicates (makes a decision) within one year of receiving Form I-751, Petition to Remove Conditions on Residence. However, I-751 processing times do vary. Several milestones are listed below. For a more detailed look at the I-751 time line, visit what happens after filing Form I-751. Approximately 3-5 weeks after properly filing Form I-751, Petition to Remove Conditions on Residence, USCIS will send you Form I-797C, Notice of Action. This is a receipt letter that indicates USCIS has accepted your petition for processing. The letter will also extend your permanent resident status for an additional year. Thus, it’s a very important document. Make a photo copy of the letter and carry it with you at all times (along with your expired green card). Keep your original in a safe place. 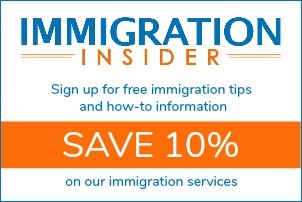 Within the following month, USCIS will send a separate letter with biometrics appointment notice. This is generally a short appointment at a local USCIS office that includes gathering your fingerprints, photograph and signature. The biometrics information is used to perform a criminal background check and then create your new permanent resident card (green card). As a matter of law, USCIS requires you and your spouse to attend an interview with an immigration officer. This is a standard part of the process, but you may be able to avoid the I-751 interview in some cases. Upon approval, the immigrant spouse will receive an approval notice and then the 10-year green card in the mail.